A/B testing has become a time-tested and proven a tool for quicker landing page conversion. 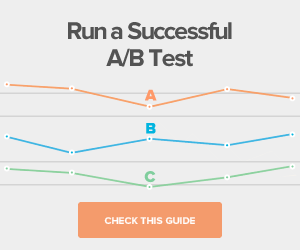 The stats here are sufficient proof of the huge role A/B testing does for business conversion. Do you know just 22% of businesses feel satisfied with the business conversion rate they achieve? And do you know businesses spend $1 for each customer conversion out of the each $100 of acquisition cost? In spite of this, only 44% of businesses use A/B testing tools among which only a handful actually do this rigorously while most others just do it as a statutory action. These days marketers run several AB tests to ensure better conversion rates with the web page. Well, there are too many elements you can experiment with including contents, headlines, subheads, images, CTA buttons, and design elements. But your approach to each of these elements matters most. A/B testing has become a time-tested and proven a tool for quicker landing page conversion.Let us introduce here below some imaginative ideas for landing page A/B testing. Suppose, you have just launched a new campaign though you are still not sure whether this one would be more effective than the older one. In such case why not launch two designs simultaneously to see which page actually gains more traffic over time. You can also launch two new designs simultaneously and see which one performs better in terms of traffic and conversion. 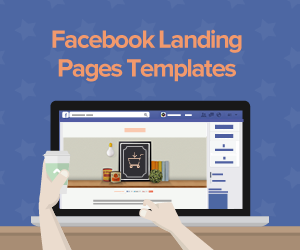 The headline in any landing page is the first attention puller by grabbing quick attention. By A/B testing different headlines you can find great result in respect of effectiveness. A little experiment with typeface or including an animated effect, all these can be highly effective. There are also some effective tools to do it. When A/B testing changes nothing but the headline itself. Do you know human brain work faster for processing visual contents? Well, it has already been an established truth and that is why most digital maneuvers focus more on images these days than texts to create quick impact. But while this visual trend is continuing, to let your landing page stand out from others, you need to choose your images carefully and purposively. There are two ways to approach the problem. First of all, images that depict your products are required but in the end, you need to create an emotional effect as well. 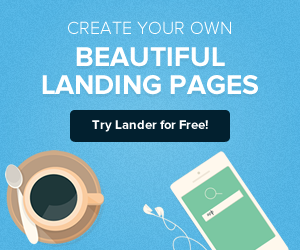 For this emotional effect, your landing page must offer a different image. It also depends on the nature of your website. Obviously, the landing page for the dating site and a manufacturer brand won’t be the same. Before deciding to use an image in the landing page ask yourself what the page audience will feel seeing that image. Mobile is where the majority of traffic is and will continue to be. With the dominance of mobile in search engine, responsive design is leaving space for mobile-only design. A mobile-only design does not need the user to pinch and zoom the landing page and naturally, such mobile specific design can engage and convert better. What are the elements you should have in mobile-only design? Let us have a look at them. For CTA buttons to grab attention and convert audience, colors are crucial elements. Well, colors have a psychological impact. Every color has a different effect on our psyche but the effects of colors also depend on context and overall color scheme and design. Even though Red is said to be most attractive and inviting, it cannot be effective in the same manner. This is why it is extremely important to test your CTA button colors as for their stand-out appearance and effects on the audience. Let us come to the basic question once more. 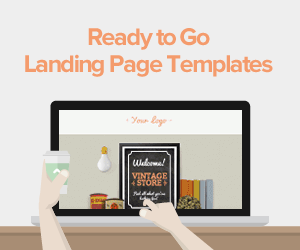 What is the objective of your landing page? Well, it is precisely about inviting people to fill out a form and thereby creating leads, right? So, the A/B testing form design and content is extremely crucial to fulfilling this goal. As for what should be the ideal landing page form, there are various competitive viewpoints and many of them are true to a certain extent. So, it is advisable to test several form variations to get the right one. Besides CTA optimization, optimizing the form is a crucial requirement. Experiment with form fields, background, and design elements to see what works best. If you want your CTA buttons to deliver a great number of qualified visitors, you need them engage with the form positively. A business may have tons of email subscribers but until they engage those emails and positively engage with the brand, such numbers are of no value. Various studies indicate that one in every four emails is opened and read and this shows the huge gap between the number of subscribers and engagement. Now the question is how can a marketer enhance the opening rate for emails? A short but attention grabbing and descriptive subject line can create more curiosity of the subscribers. According to Mailchimp, subject lines with 28-39 characters offer best results. Without your knowing, sometimes certain design elements kill a landing page. All the elements like the displayed products, services, copy, colors and design elements of the page can be arranged in a number of ways and can be tested for the conversion results. Sometimes, a little rearrangement of these elements can just make the perfect one with highest conversion rate. 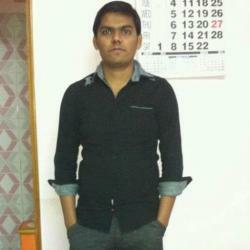 Darshan Patel is a lead SEO Analyst & Storyteller at Nimblechapps - The coolest android game development and website development company. He believe in using a variety of strategy to create business’s online presence that delight and deliver.